This light weight, non-greasy lotion helps moisturize all skin types, including sensitive skin. Our favorite product to leave skin feeling silky soft. Daily use helps maintain the appearance of healthy looking skin and skin tone. I have dry, sensitive, tempermental skin and this product leaves my face smooth with no irritation. It even helps diminish the appearance of my under eye circles. I would recommend it to anyone! I use this cream constantly, along with many other Tridema products. It is so gentle and soothing and helps my skin to stay moist and feel healthy. It helps soothe the redness, too. A really great product I have been using for years. I especially love that so many of Triderma's products are non-comedogenic and non-greasy. I never give reviews for products I am not passionate about, either positively or negatively. I have very sensitive skin and use a wide range of Triderma products on a regular basis. The Last Sensitive Skin Healing cream is excellent for anyone suffering from redness and irritation or just skin that gives discomfort in any way. 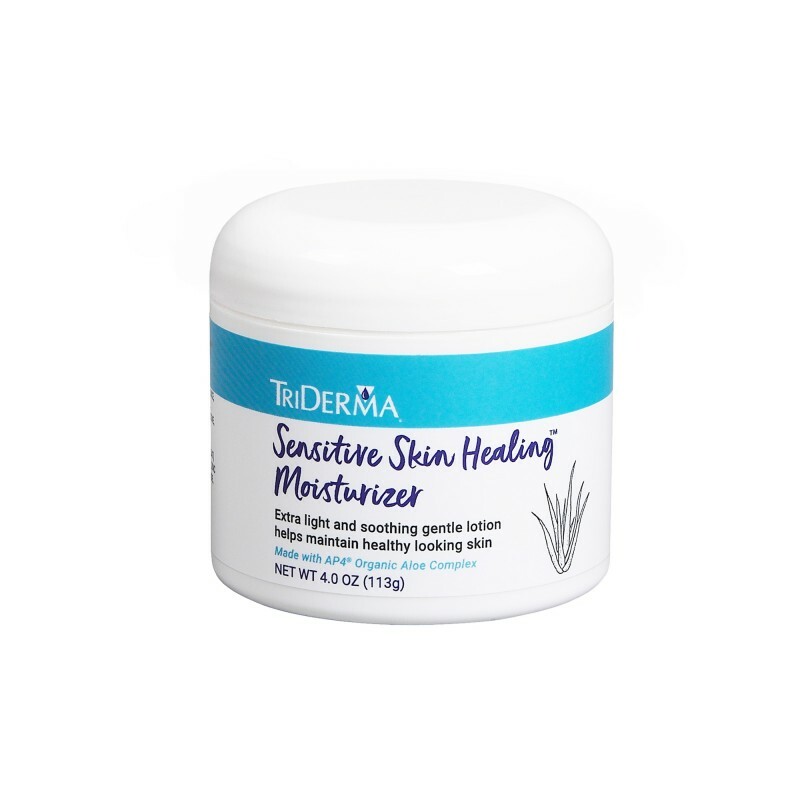 I feel safe using Triderma products as the ingredients are pure and safe and won't clog pores or leave a greasy feel. 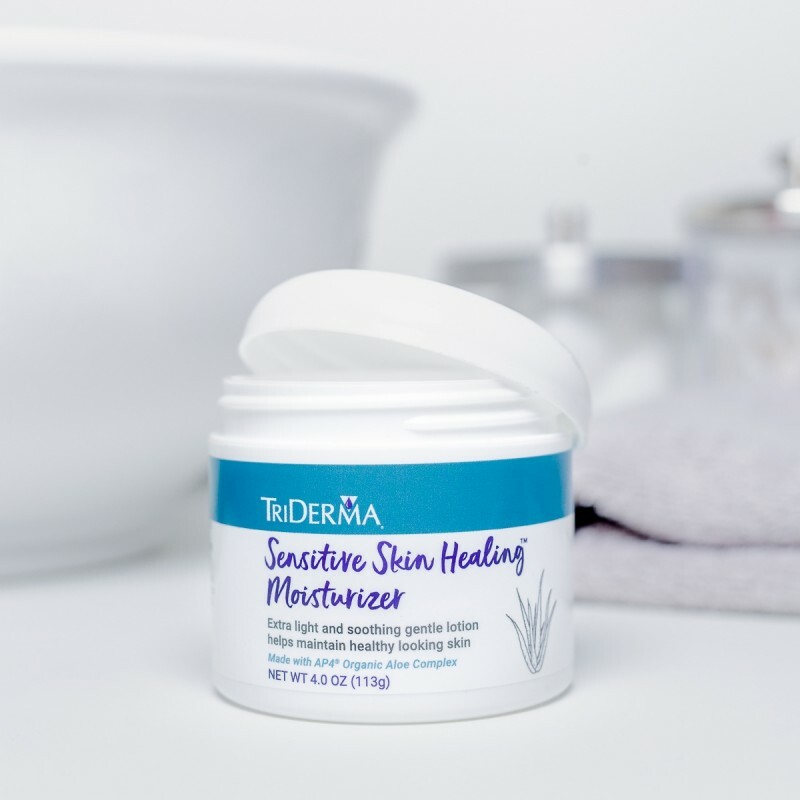 I have been using Triderma products for many more years than I can remember, and they have always been great, and their customer service cannot be beat. I give Triderma products a good deal of credit for keeping my skin looking like under 30 at the age of 56... really. This product can be easily incorporated into any skincare regime and works well with other products you may use. I would recommend it to anyone of any skin type. This lotion is great! I use it all over but it is especially soothing after being out in the sun for long periods of time. Love it so much! Apply lotion generously twice a day. For faster results, apply more often.